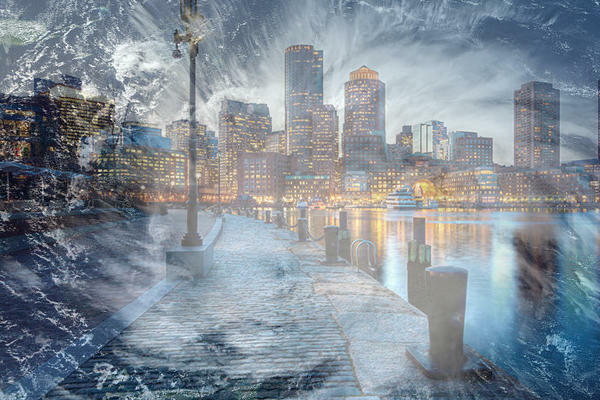 The ocean near Boston is warming at a faster rate than any other area in the U.S., so the city has been giving some serious thought to how climate change will change its waterfront developments. One of the prime examples of how this reflection plays out is a recent development by Skanska, as CNBC reports, 121 Seaport, an elliptical office tower. The conversation about how developers are planning for extreme weather is becoming more and more common under the leadership of the city’s chief of environment, energy and open space, Austin Blackmon. “Through the city’s zoning code, we were able to say, if you want to build a large building in the City of Boston, not only do you have to take into account what the climate projections are and the floodplains are right now, but you have to look at what those projections are in the future,” Blackmon explained to CNBC. “You have to let us know how you plan to protect your building all the way through its useful life.” Though so far, Blackmon is only armed with recommendations, not regulations.